THIS FERRETTI CUSTOM LINE 97 IS AN EXCEPTIONALLY BEAUTIFUL EXAMPLE OF THESE FABULOUS ITALIAN YACHTS THAT HAS BEEN METHODICALLY MAINTAINED. WITH ONLY 1000 HOURS LOGGED SHE IS ON THE MARKET FOR AN INCREDIBLE LOW PRICE!! THE MOST EXCITING CL 97 AVAILABLE. 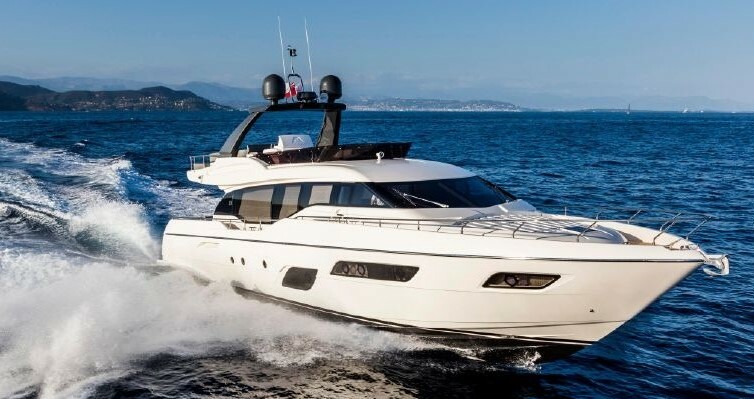 A MUST SEE AND A FERRETTI LOVERS DREAM. ABT HYDRAULIC BOW THRUSTER/ DUAL ANCHORING SYSTEM/ 4x ARG GYRO STABILIZERS/ WASTE WATER TREATMENT SYSTEM/ JETSKI/ NOVURANIA 4.30 with 70hp YAMAHA.